If you would like to discover more about Gildredge House then please get in touch. 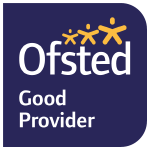 We are pleased to report that Gildredge House has been judged ‘Good’ by Ofsted. Sign up to receive email newsletter and be the first to know about the latest news and events.